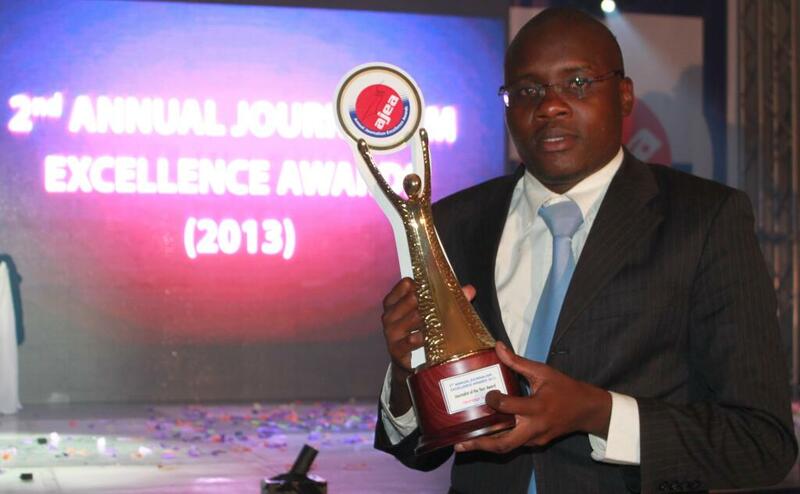 Standard Journalist Nyambega Gisesa with an ward he won in the 2013 AJEA awards. Kenya’s finest journalists will be unveiled and feted today, Monday May 4 in an event to be held at the Kenyatta International Convention Center (KICC). This will be a culmination of this year’s World Press Freedom Day celebration aimed at highlighting the successes and challenges of the Media industry in the country and the world at large. This is the fourth time that the Annual Journalism Excellence Awards (AJEA) event which is usually organized by the Media Council of Kenya (MCK) is taking place in the country. To mark the day MCK has organized a convention to reflect on this year’s theme ‘Let journalism thrive! Towards Better Reporting, Gender Equality, and Safety in the Digital Age’. MCK will also launch a media monitoring report on the coverage of the extractive industry in Kenya. This year’s celebrations are being held at a time when the security of journalists is under threat. 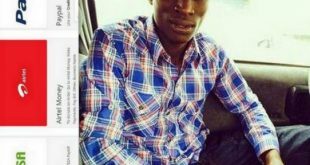 Two days ago an Eldoret based journalist, John Kituyi, was attacked on his way home and later died in hospital. The incident is being linked to his work as a journalist. And in mid April, journalists were severely attacked by the police while on duty in the Tana River county. These two incidences and several other incidences in which journalists have either been threatened with their lives due to their coverage of certain sensitive issues in the country are likely to be part of the discussion as the scribes mark the day. Other issues that are likely to be discussed this year include the controversial security laws that were passed by Parliament towards the end of last year proposing hefty fines to journalists and media houses who allegedly flout the code of conduct for the practice of journalism in the country. The increasing threats to activists on social media and bloggers as witnessed in the last one year may also be discussed. But the moment that the journalists will be waiting for is the naming and awarding of the top cream performers in the last year. Apart from naming winners in different categories an overall winner will be named for the media competition which is the most prestigious in the country.